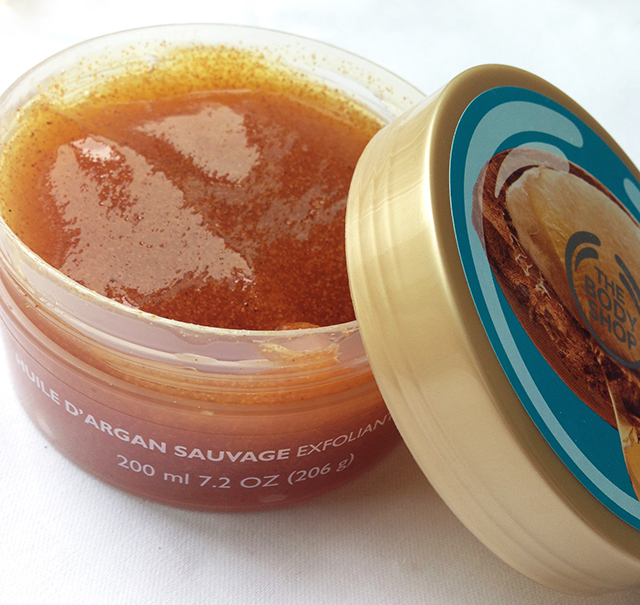 The Body Shop has launched a whole new range of bodycare that is infused with argan oil. Highly raved for its skincare benefits, argan oil is one of the hottest thing trending this year. It lends the entire range a soft nutty scent which is soothing and luxurious. More importantly, The Body Shop is sourcing its wild argan oil by working with Targanine, a network of women cooperatives in Morocco, empowering the local Berber women with financial independence without having to leave their native communities. 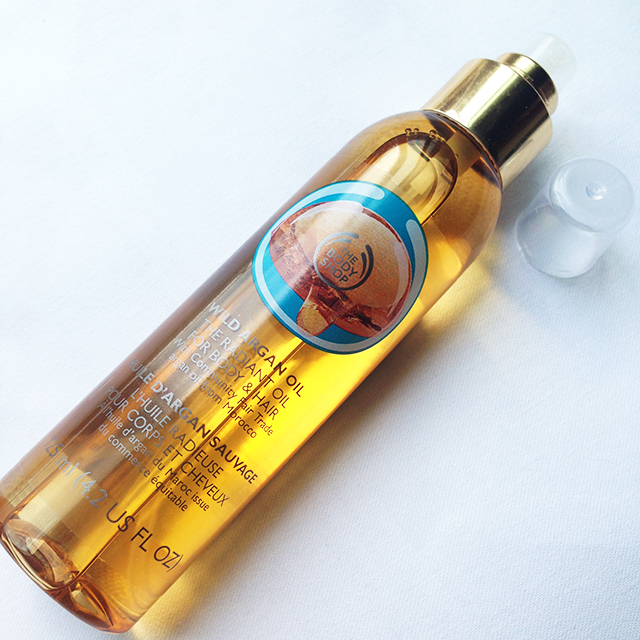 For this Wild Argan Oil range, The Body Shop brings us the luxurious cleansing ritual of Hammam practiced in Morocco. Starting with the Rough Scrub. Despite the name this actually uses very finely ground up walnut and argan nut shells to exfoliate, and argan oil to hydrate and nourish. It works well for all over the body, and does not feel overly harsh on my sensitive skin. Next comes the Massage Soap. Whilst my recent Bangkok trip (read more about that here) was a great for getting away from the stresses of work and daily life, all the walking, hauling, lugging the luggage (from airport to cab, etc) left me feeling sore all over. As my hubby puts it, we need another vacation to relieve the stress of traveling! 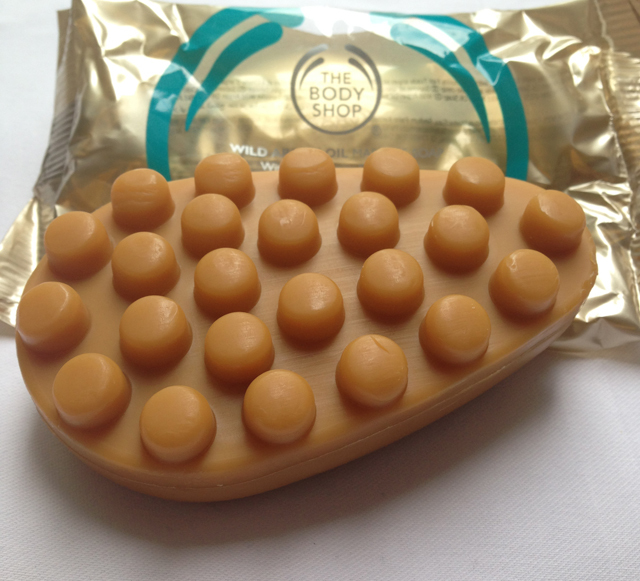 Unfortunately we don’t have that luxury, but instead, I have The Body Shop’s new Wild Argan Oil Massage Soap. Not quite the same thing as getting a full body massage, but it sure feels good to be able to knead those tight knots under the shower. To complete the Wild Argan Oil shower ritual, there is the shower gel which fits into everybody’s basic daily essential. It doesn’t lather up a great deal, but it cleanses well without stripping my skin of its own moisture. I’ve been getting some severe eczema on my body lately due to the constant scorching hot – rainy cool temperature fluctuations we’ve been experiencing, plus traveling didn’t help so and I’ve had to be careful with body soaps. The argan oil really does make a difference in this shower gel, and I recommend it for those looking for a good bath soap suitable for sensitive skin and yet one that is not completely devoid of any sensory enjoyment. Now, after an extensive bath ritual, it is important to rehydrate. The Body Shop’s Body Butter was a staple in my beauty arsenal during my college days in freezing Michigan, and I was happy to be reunited. Contrary to my fears that this would be too rich for our tropical climate, it is silky and non-greasy, and is easily absorbed by my skin. It felt so pampering I can practically feel my dry itchy skin heaving a sigh of relief. 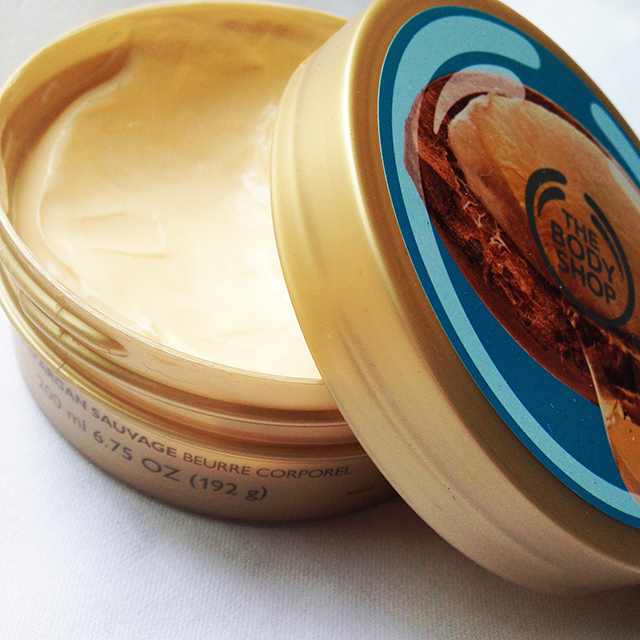 In addition to argan oil, it contains high doses of shea butter and cocoa seed butter, both perfect for soothing skin. On my recent trip to Bangkok, I had forgotten to pack haircare products. And in just 3 days, my hair literally turned to straw from using the hotel’s 2-in-1 “conditioning” shampoo. It was so bad that even my hubby noticed it (which is saying A LOT!). Saving the day was this bottle of oil which I had brought with me for its multi-tasking abilities! The bottle is plastic and light for traveling, and has a spray nozzle. So I spritzed it all over my freshly destroyed-by-unnamed-shampoo hair, combed through and blow-dried every night before bed. And woke up to soft, manageable tresses every morning! I also patted it on the drier parts of my body (as I did not pack any bodycare either) and used it on my cuticles. The oil is quite runny in consistency and felt light in comparison with some other oils that I’ve tried in the past. It does not leave the skin feeling oily, but dries down very quickly. 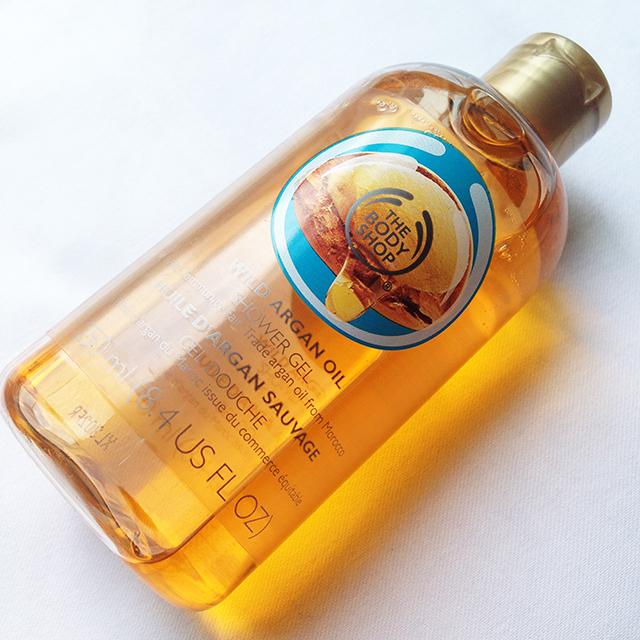 I’ve really enjoyed these 5 products from The Body Shop Wild Argan Oil range. There are 4 more in the collection including a bubbling bath, body lotion, and solid oils for body & hair and lips. The products are all affordably priced from SGD9.90 (USD6) onwards but the quality far surpasses its humble price tag. Do check it out for some bathtime pampering in the comfort of your own home!